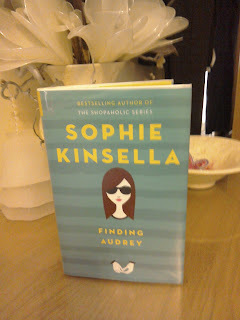 I am a massive fan of any and all books by Sophie Kinsella so when I heard she was writing a book for young adults I was hoping it was going to be ordered into our library. It was and as soon as it arrived I took it before it was even catalogued and have finished it within a day. The story focuses on the main character Audrey she suffers with generalised anxiety disorder she can't leave the house and wears dark sunglasses all the time to avoid eye contact. She then meets her brothers friend Linus who sends her funny notes and slowly draws her out of her comfort zone to leave the house to go to Starbucks. Linus is charming, funny and sweet and makes getting better seem achievable. 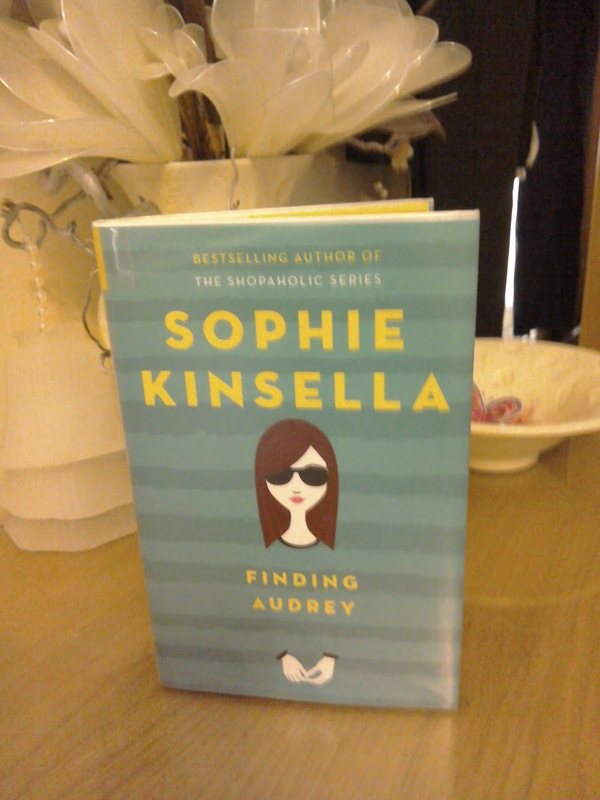 I feel that Kinsella perfectly captures the feelings that are attributed with anxiety and while I found the main character to be slightly irritating at times with the constant stating of being ill it is very true to the disorder- that it causes a person to focus solely on themselves and how they're feeling opposed to others so the characterisation was spot on. The relationship between Audrey and Linus is ever so sweet and it keeps you routing for her to recover. As part of her recovery Audrey is told to keep a video diary of her family and of herself interviewing them. For this parts of the book were written in script form which I felt was a clever idea that showed things from an unbiased perspective. I found the majority of the other characters to be hilarious especially the conversations between Audrey's mother Anne and her brother Frank. Anne being a daily mail addict constantly trying to do what she thinks is best for her children with some rather hilarious results including throwing her sons computer out of a window. While Frank is the gaming addict who manages to have a clever response to practically every question. I found the conversations between these two add some much needed humour to balance out the serious side of the book. Overall I found this book to be a good read (I read it in a day after all) and i think that this will definitely be a good read for teenagers who may be suffering with anxiety. It's a subject that isn't fully understood or talked about often and this book characterises the feelings relating to it perfectly! A definite must read!